The MouseKeyDo System: About Norman J. Kahan, M.D. About Norman J. Kahan, M.D. Norman J. Kahan, M.D., is founder and director of Sports and Occupation Medical Associates in Cupertino, California, where he works to manage and alleviate patients' musculoskeletal problems. He is certified by the American Academy of Physical Medicine and Rehabilitation. Dr. Kahan has served as a physician consultant to the ergonomics programs at both the University of California - Berkeley and San Jose State University. He was also physician consultant to the Space Physiology Laboratory at NASA Ames Research Center. Additionally, he has taught at the Center for Health Enhancement, Education and Research at the University of California - Los Angeles. He is the author of several publications and the co-author of a book dealing with environmental ergonomics. Dr. Kahan received his BA degree in psychology at USC, his medical degree at UCLA and completed his residency training at UCSF and Stanford University, where he specialized in physical medicine and rehabilitation. 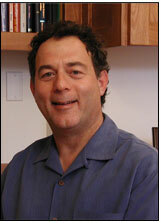 His further study includes training in electrodiagnostic medicine at the University of Washington. He lives in Los Altos, California, with his wife, an orthopedic surgeon, and their three children.